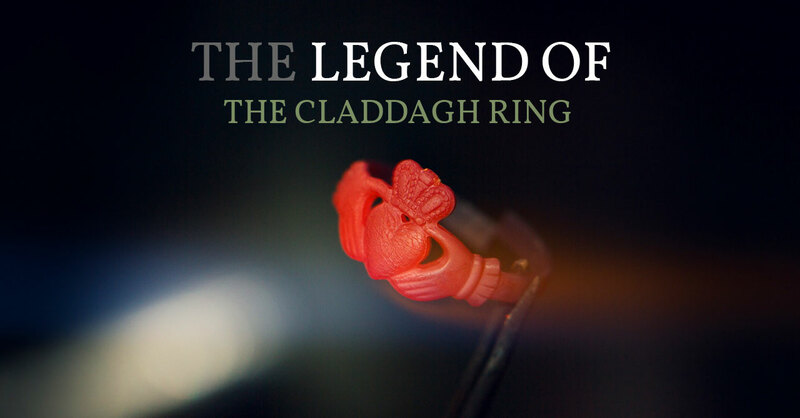 The Legend of the Claddagh Ring is the story of the mystical and beautiful Claddagh Ring, first told over 300 years ago in the ancient fishing village of the Claddagh, outside the walls of the City of Galway on the west coast of Ireland. Passed down through the generations, this romantic story centers on a man named Richard Joyce and the ring he created. Legend has it that shortly before he was due to be married, a fisherman Richard Joyce was captured at sea by pirates and sold into slavery in Algeria. He became the property of a rich Moorish goldsmith, who sensing his potential began to train him in his craft. 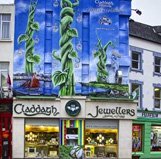 In time Richard Joyce became a fully proficient master craftsman and with thoughts of the girl he had left behind close to his heart, he fashioned the first Claddagh Ring. The heart symbolizing love, the pair of hands representing friendship and the crown for loyalty and fidelity. In 1689 after an agreement with King William III to release all his subjects held in slavery, Richard Joyce found himself once more a free man. His master, who had by now grown very fond of him offered his only daughter in marriage and half his wealth, if he would remain in Algiers, but Joyce declined and returned home to Galway. There he found that his sweetheart had waited for his return, and presenting her with the Claddagh Ring they were married. The Claddagh Ring merges the basic 'clasped hand design' of Fede Rings with a heart and a crown signifying Love, Friendship and Loyalty or Fidelity. These rings were kept with great pride as family heirlooms, which were passed lovingly down from mother to daughter on her wedding day. The design has now become very popular internationally, its spread being helped by the vast exodus from Ireland during the great famine in 1845-1849. The simplicity of the ring and the symbolism it conveys make it the perfect gift for a friend or loved one. Fede or "Faith rings" date from Roman times and were popular in the Middle Ages throughout Europe. They are distinctive in that the bezel is cut or cast to form two clasped hands that symbolize faith and trust. Early examples are on view at the National Museum of Ireland in Dublin.